Сейчас идет снег в Gudauri ?Thank you! Gudauri is a mountain ski resort situated on a south-facing plateau of the Greater Caucasus Mountain Range in Georgia, 2,200 m above sea level. Its skiable area enjoys the maximum exposure to the sun, which makes Gudauri a magnificent all-year-round tourist destination. 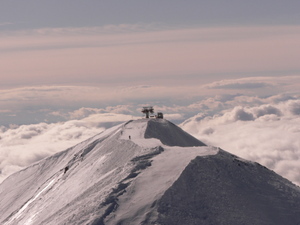 In winter, visitors enjoy skiing in addition to a vast range of alternative outdoor activities. 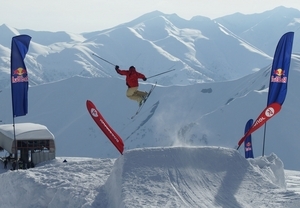 Skiers of all levels can find impressive opportunities for slalom, giant slalom, and downhill skiing, and even the world famous heli-skiing, for those who love to indulge in extreme challenges. Here, the mountain slopes are covered with snow for 4-5 months, from December to late April, and provide great opportunities for snowboarding. 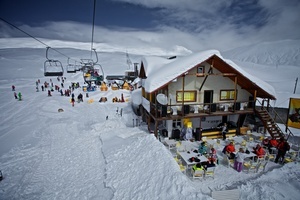 The average snow depth on these slopes reaches 2.5 m. The total length of Gudauri ski runs exceeds 57 kilometres and meets the highest international standards. 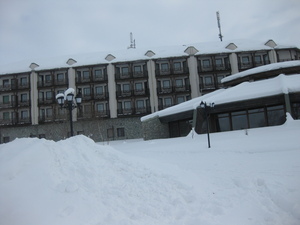 The slopes are accessible via several platter lifts, moving carpets, chairlifts, and a cabin lift. 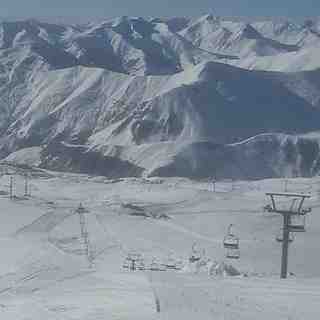 In Gudauri, the base lift is situated over 2,200 meters above sea level and the top lift is at 3,285 meters. Children can have lots of fun at playgrounds that can be found in the village near the hotels, or use moving carpets and take private or group ski lessons at ski schools. Tubing is one of the non-ski activities that can be found in Gudauri. In summer, the resort takes on a whole new life as a fabulous sightseeing destination – with crisp fresh air, superior areas for horse-riding, mountain biking, hiking, bird watching, etc. The comfortable hotels of Gudauri offer all the necessary amenities for arranging regional and international conferences, trade shows, expos, seminars, and workshops. Gudauri is a rapidly developing site which is experiencing a growing influx of hotels, guesthouses, sport centres, restaurants, lounges and bars. 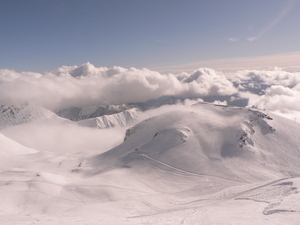 The New Year week is considered the peak of the season in Gudauri, with visitors flocking from various regions of Georgia and abroad. There is no better launch pad than Gudauri for exploring the Greater Caucasus, at any time throughout the year. One brand new ski lift from Doppelmayer is built. Resort is boosted with investments and developments. EcoSign Canadian based company finished master plan of resort. I totally agree with another reviewer from the United Kingdom'. carefully. Most of the slopes are facing south and there are no big rocks you'd want to go off, as an intermediate, at Mt. 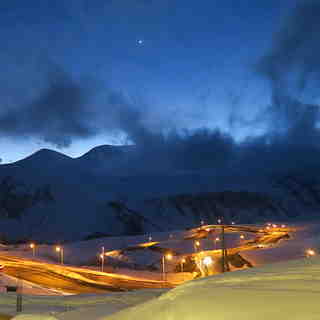 Elbrus. I will say 30 beginner, 60 intermediate, 10 maybe advanced. If there's good snow you decide to go off without walking some distance, you could ride few black and fewer double black runs. I think it's bit short though.